Blade length : 70.5 cm or 27.75 inches. Sori : 1.8 cm or 0.70 inches. Width at the Kissaki : 2.17 cm or 0.85 inches. Era : Late Kamakura period. 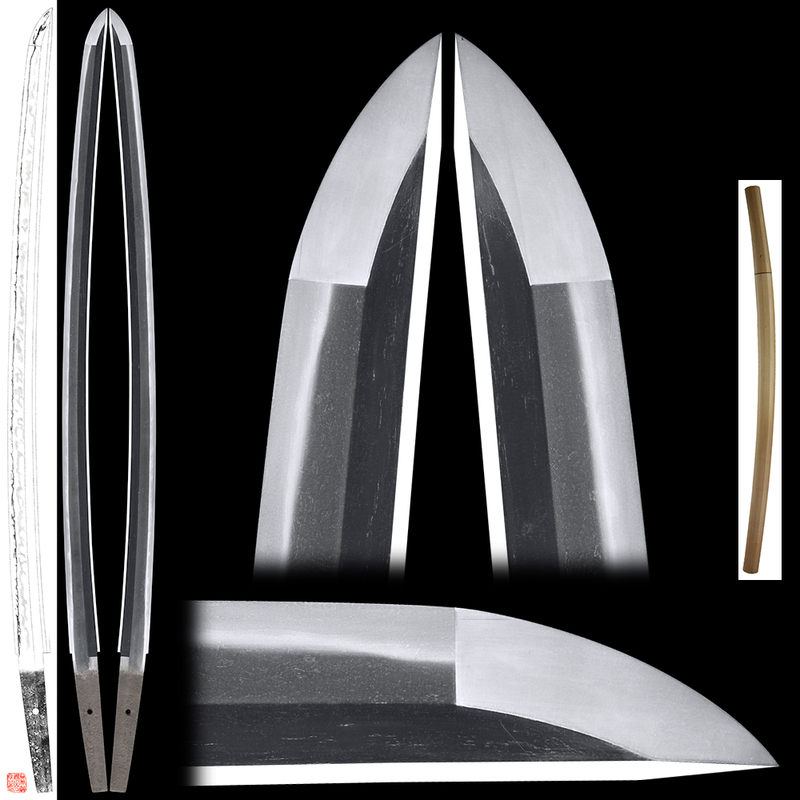 Shape : Regular size, Osuriage Mumei Katana. Jitetsu : Itame Hada was grained with Jinie attach. There are Chikei and Utsuri. And visible to see the texture. Hamon : Koniedeki suguha with Ko-Ashi and yo work. Special feature : Aoe school has flourished for a long time from Heian period. From the Boshi, this Wakizashi was made around late Kamakura period. Generally Aoe school has chirimen hada surface with slight utsuri seen. Mostly the hamon is suguha style. The blade has Kitae-Ware on the Yokote to Monouchi but not serious. The blade is elegant shape nice jigane and Hamon. 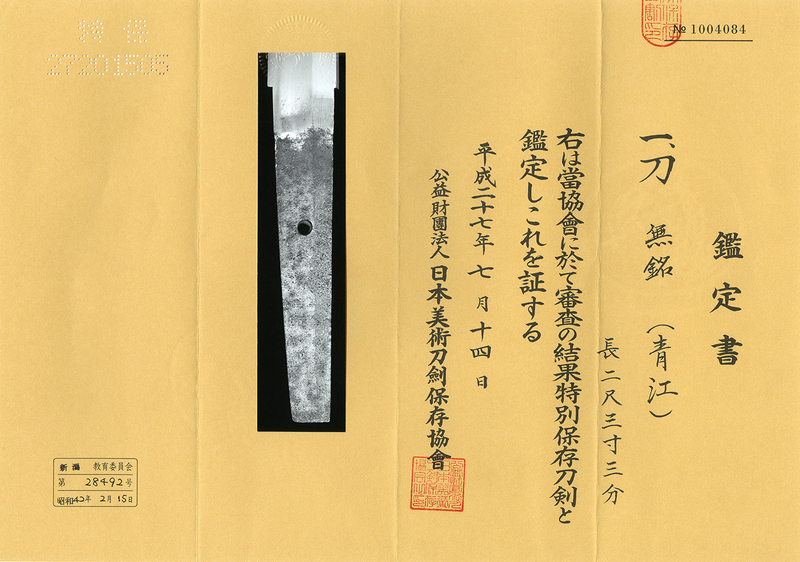 Katana:Mumei attributed as Showa sword not forged.